But this movie has a fast screenplay, as usual in this whole series of movie, which keeps you in the seat for the whole movie duration of little more than 2 hours (137 mins to be exact, as per IMDb). So, how does the movie fair against the previous Trilogy??? well, its 1% below any of the previous movies in all segments (with 1 BIG exception), just because we have seen enough of all these actions of the Captain before, and this movie totally revolves around the Captain. Totally!!! its like seeing his face in every frame of the movie. 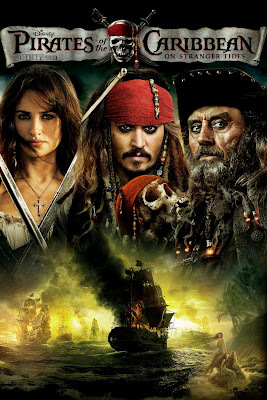 Overall, its a movie worth watching once..My final thoughts on this movie is, it would have been more appropriate to name this movie as "Adventures of the Captain Jack Sparrow : On Stranger Tides"